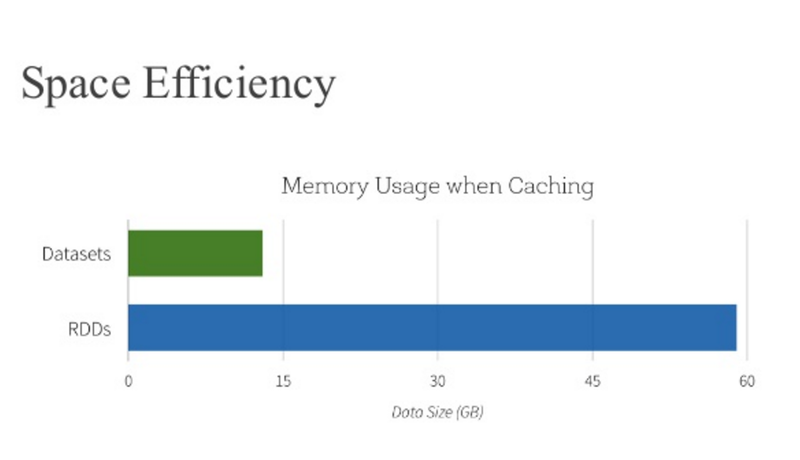 By Jules S. Damji, Databricks. Of all the developers’ delight, what constitutes as most attractive one is a set of APIs that make developers productive, that is easy to use, and that is intuitive and expressive. One of Apache Spark’s appeal to developers has been its easy-to-use APIs, for operating on large datasets, across languages: Scala, Java, Python, and R.
In this blog, I explore three sets of APIs—RDDs, DataFrames, and Datasets—available in a pre-release preview of Apache Spark 2.0; why and when you should use each set; outline their performance and optimization benefits; and enumerate scenarios when to use DataFrames and Datasets instead of RDDs. 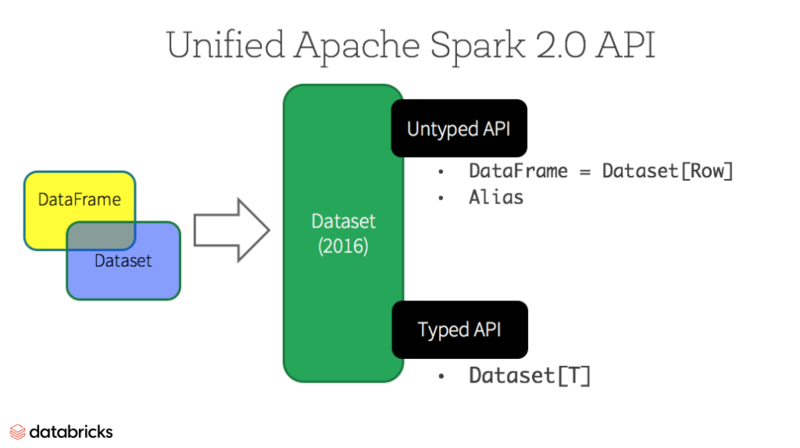 Mostly, I will focus on DataFrames and Datasets, because in Apache Spark 2.0, these two APIs are unified. Our primary motivation behind this unification is our quest to simplify Spark by limiting the number of concepts that you have to learn and by offering ways to process structured data. And through structure, Spark can offer higher-level abstraction and APIs as domain specific language constructs. Starting in Spark 2.0, Dataset takes on two distinct APIs characteristics: a strongly-typedAPI and an untyped API, as shown in the table below. Conceptually, consider DataFrame as an alias for a collection of generic objects Dataset[Row], where a Row is a generic untypedJVM object. Dataset, by contrast, is a collection of strongly-typed JVM objects, dictated by a case class you define in Scala or a class in Java. Bio: Jules S. Damji is a Apache Spark Community Evangelist with Databricks. He is a hands-on developer with over 15 years of experience and has worked at leading companies building large-scale distributed systems. Before joining Databricks, he was a Developer Advocate at Hortonworks.